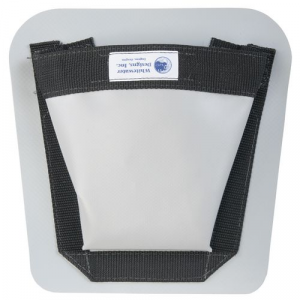 This repair kit gives you what you need to make field repairs on your AIRE inflatable raft, cataraft or IK. 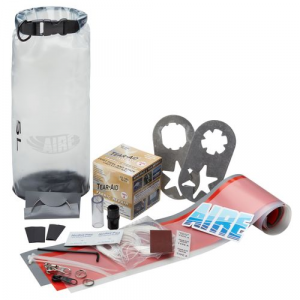 All you need for fixing punctures, tears, zipper problems and other repair issues when you're out with your AIRE boat. This kit does not contain a flammable adhesive. Included is a roll of Type A Tear-Aid Repair Tape. Use it to patch any holes in the inner urethane bladder. Unless it's a large tear this can be a permanent repair. For tears in the outer PVC skin, there's needle and thread for stitching the sides together. When you get home you can either glue on an inner patch, or send it to AIRE for a welded repair. Includes other repair essentials, listed in the Specs tab. All these items are contained in a 5L water-resistant dry bag, with a fold-down closure and clear window for easily spotting the item you need. Dig in and hold on. AIRE PVC Footcups make sure you have good foot hold on those steep and deep drops. 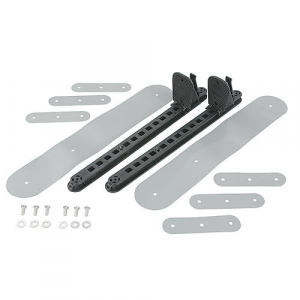 Double-reinforced PVC hinge holds D-rings. 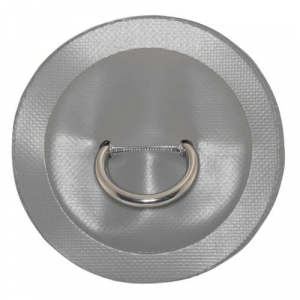 Stainless steel 1" D-rings with PVC patch material. Hinge fabric is sewn and glued to patch. Attach using Clifton Urethane Adhesive. Patch diameter: 4"